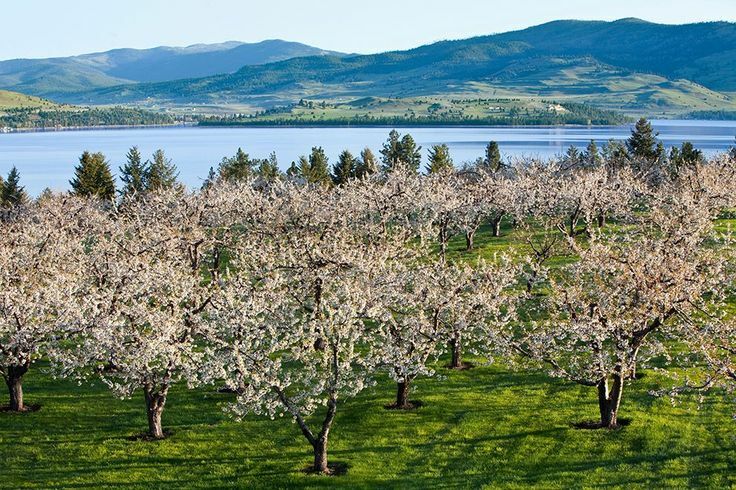 Western Migrant Stream services are provided primarily at the Cherry Harvest in Polson, Montana. REO works with partner agencies to provide food boxes and gas cards to incoming migrant workers. Qualification for gas cards require that the individual meet the eligibility guidelines above and provide proof of insurance, current registration, and a current driver’s license. Food boxes are available to all migrant workers and their families. REO provides the required Worker Pesticide Training for all individuals working in the orchards. Through a partnership with Montana’s Migrant Education Program, children of workers may attend educational programs while their parents work. These programs help children with reading, language and math skills. Children may attend a school or receive tutoring in the afternoons and evenings in the orchards. REO also works with the local American Job Service Center for placement in other local jobs for those workers who do not find employment when they arrive at the Flathead. Eastern Migrant Stream workers are served through REO’s Billings Office located at the American Job Service Center, 2121 Rosebud Dr., Billings, MT. REO provides food vouchers and gas cards to individuals meeting the qualifications above. In order to obtain a gas card, the individual must have a current driver’s license and proof of insurance. Food vouchers are issued to the individuals to redeem at local grocery stores. REO provides these services to migrant or seasonal workers across Montana.